© 2012 Mollie Gregory, all rights reserved. 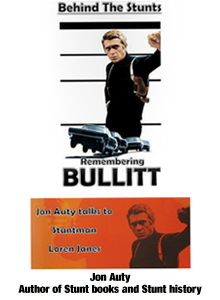 Central casting didn't hire stunt players then and don't now. Only people who worked with them could judge their skills--directors, assistant directors, production managers, or stuntmen. Before pagers and cell phones, anyone seeking a stunt person called Teddy O'Toole's answering service in Hollywood. "I need a stunt girl about five feet tall who can do high falls." The women answering the phones at Teddy's knew the height, weight, hair color, size, and specialty of everyone on the list. [i][i] And they still do for the service runs 24/7 today. 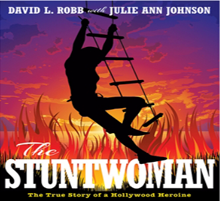 Stuntman Paul Stader, who had started his career with Lila Finn in Hurricane, came up with the idea of adapting his sister-in-law's answering service exclusively for stunt players. He told all his friends to sign up for it. "Teddy's would track you down if you were on location somewhere, they could get a message to you," Stader said. [ii][ii] In December 1954 Teddy's roster listed 15 stuntwomen and 81 stuntmen, a fairly reliable estimate of working stunt players then. The ratio of five to six times as many men to women has not changed much: in 2000 it was 1,085 women to 5,022 men. [i][i] From the William Gordon Collection, a casting director at 20th Century Fox, folders #551, #453. Margaret Herrick Library, Motion Picture Arts and Sciences Academy. Teddy O'Toole's answering service, which is still operating today, joined by Joni's and Bill's services. [ii][ii] Ross, John D., and Ivis, Mark. "Robert Herron: 80, unbreakable and still going strong!" Inside Stunts, Summer 2004, p15.